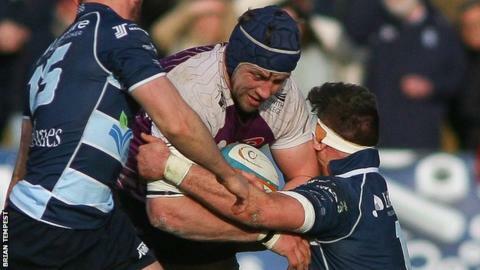 Cornish Pirates coach Alan Paver says he and joint-boss Gavin Cattle must ask some "big questions" after their 32-14 loss at Bedford Blues. The Pirates trailed 25-0 at half-time before Javier Alvarez scored a try soon after the break and Dan Lee added a second in the final minute. They remain fifth in the Championship, eight points behind Bedford. "Gav and myself, our job is to make this team tick, and it isn't ticking at the moment," Paver told BBC Cornwall. "We've got to make sure that if we come out here with a game plan we've got to execute, we've got to ask the guys some real basic questions. Why are you going off script? How we can't see the behaviours change from training to here. "We're not suddenly a poor team, you don't just wake up one day and can't play, but at the moment we aren't firing."